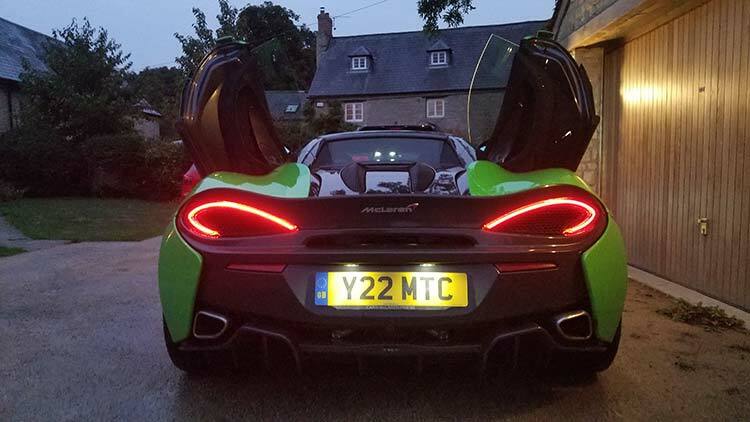 The night before visiting the McLaren technology centre for a tour and to pick up the keys of the 570s, I didn’t get much sleep as I was way too excited. Driving into the McLaren Technology Centre in Woking, was an experience in itself. It set the tone for what lied behind that lake and those huge glass windows. The mystic and clinical ambiance here was the perfect setting to stimulate my emotions. I am a friendly eccentric personality full of emotion. As I looked at the car I was so excited, the feeling was like getting my hands on a new pair of very rare exclusive shoes. 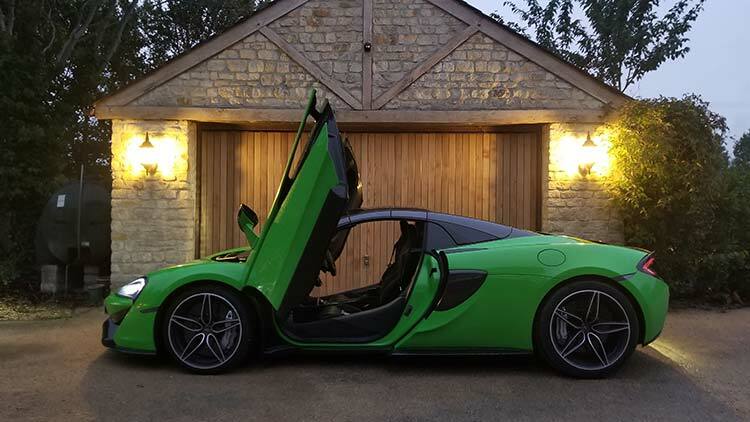 I knew when I sat behind the wheel of this aggressive looking McLaren 570s in Mantis Green, my personality would flip and I would transform into the character Trinity of the film The Matrix. Those Butterfly doors are absolutely one hell of a statement and the technique into both getting in and out of the car is just super fun and very easy. I was hoping they would give me a colour that the whole UK would notice whilst I was driving. They certainly achieved that. This Mantis Green, is a colour that grew on me and I also noticed the public had the same reaction. For some it was an instant love affair for others, the more you looked at it the more you fell in love with the colour. McLaren offers many colour options. So if I took my copper bracelet into the technology centre, they can and would match that for my personal McLaren. As I sat in it, I was very surprised at the space, I had driven the Audi R8 spyder a few months before and that is a lot smaller inside. The overall comfort of driving this supercar over the few days was impressive. As I drove the hydraulic steering gave me that exact precision feeling I was hoping for. This car was designed from the ground up all about the driving experience, which is rare these days. 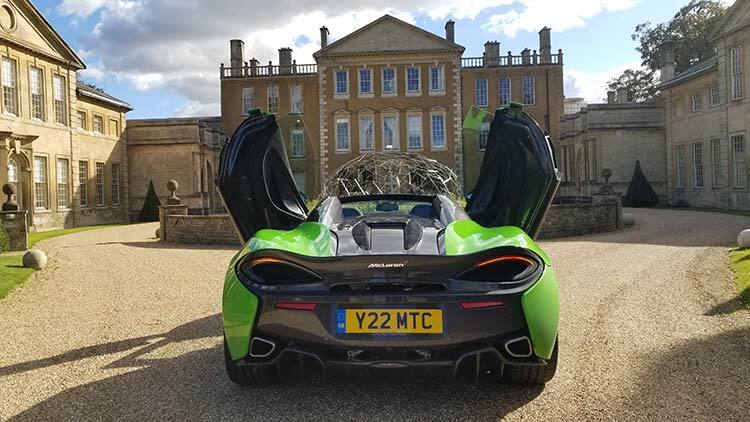 Instantly I was very comfortable in the McLaren, like Cinderella collecting her glass slipper, this supercar belonged to me. This 570s belonged to me both in statement and in loudness. It’s simplicity in technology and buttons, was a clear message that this car had to be driven with respect, and fierce concentration. 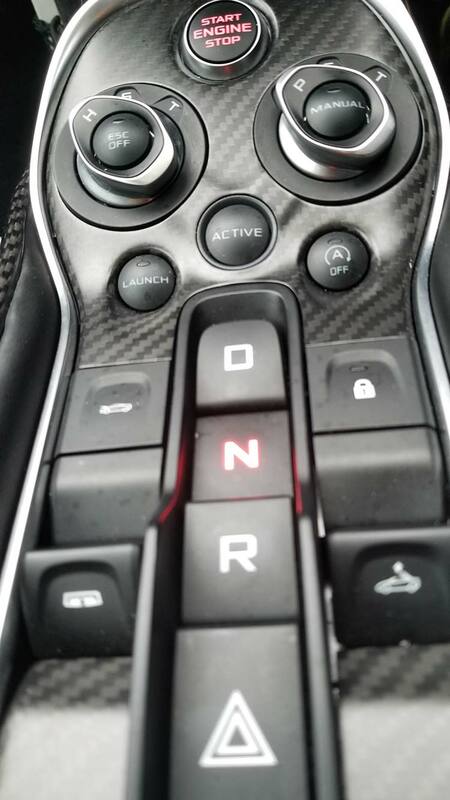 There were no unnecessary buttons to distract me, the design of the tech is simple. I loved the McLaren for this, again reminding me of the rare driving experiences I had when growing up in rural Australia. The cars I drove taught me the skill of handling and respecting and appreciating the cars for what they really were. 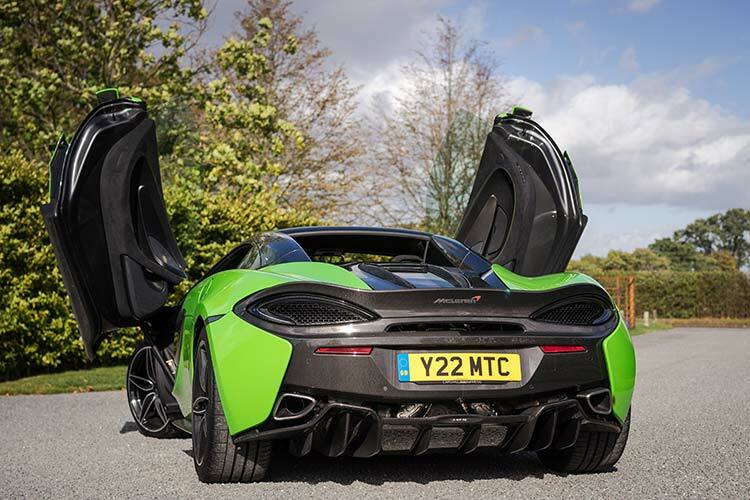 Just like Trinity in the movie The Matrix, there was nothing normal about the McLaren 570s. It was a woman, a beast ready to be unleashed. It was an intimidating, dominating, and aggressive looking supercar. I was fiercely concentrating when I left the building. As I drove out over the next few days the public were the ones that gave me the feedback regarding first impressions. 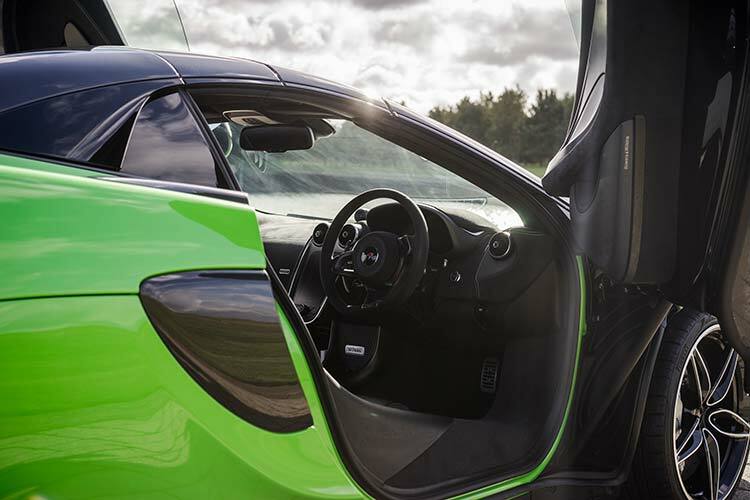 Like a beauty queen on the catwalk, this McLaren 570s stood out like a sore thumb. The demographics of the people looking and reacting to it was so much fun. I had elderly ladies, waving and clapping. I had a mum pushing her twins in the pram literally screaming at me and clapping with sheer joy. I had woman asking for photos. I had men coming up every time I parked. 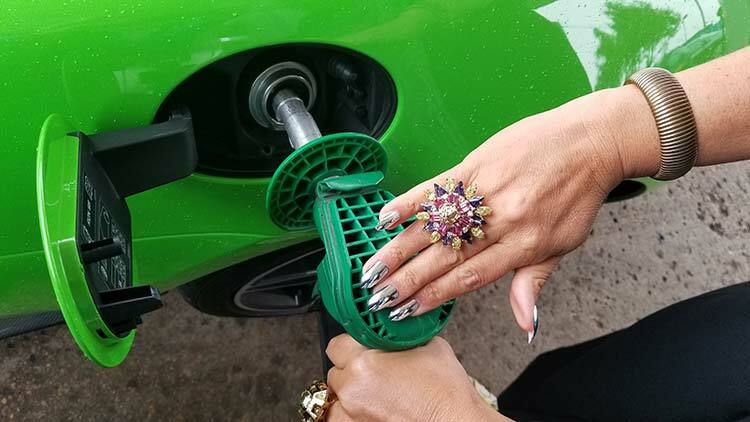 I could see they were shocked to see it was a female driver, making that roaring sound in the villages of Oxfordshire. 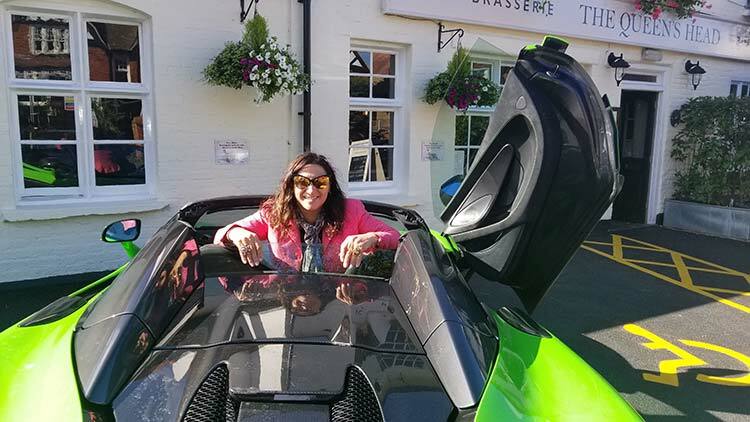 How many women do we see driving supercars? In speaking to the woman coming up to me. They were terrified initially of how one could drive this car. I reassured them that this car is easy to drive and to certainly ask for an experience in doing so. The McLaren is an example of taking the bull by the horns and driving it. Conquer your fears, in the right settings. The ladies were very comfortable and proud that I as a woman was representing them. Planting a seed and inspiring that this was better than owning and buying so many handbags and shoes. One woman who drove with me came out of the car with such an adrenaline rush, she end up opening a very expensive wine, which was meant to be for her first wedding anniversary. That’s what driving the McLaren 570s does to one’s emotions, it unleashes the adventurous side of me and others. She said I was waiting for a special occasion. Holding back the tears, she was on a high for hours. It was what I now called The McLaren 570s rush. Every hour I drove it, the more my emotions that I didn’t even know existed were unleashed. I actually lost my voice by the end of the four days, I’ve not screamed and sang so much in years. 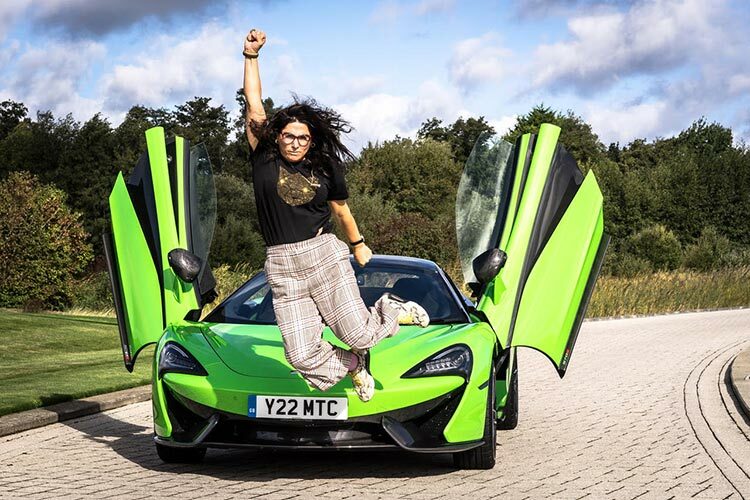 Thanks very much to McLaren for understanding that us women too, love supercars. 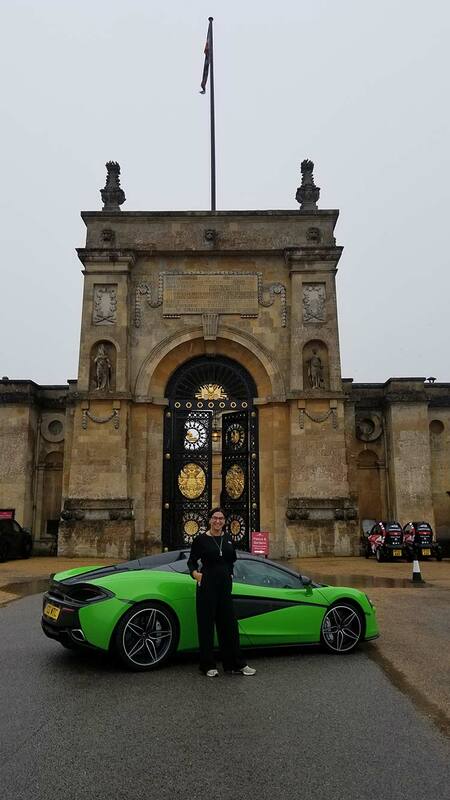 As for the men, everytime I parked I was greeted with both young and old with emotions both from young and old holding a camera and asking if they could take a selfie with the McLaren 570s. 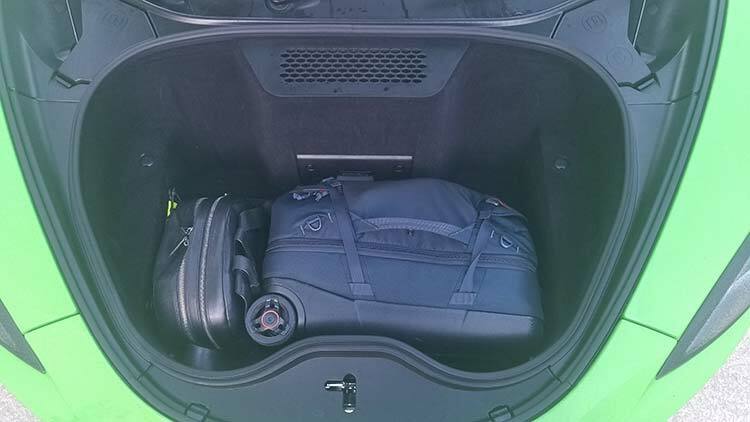 The week before, I was in Germany and Italy for car launches. As I shared with other petrol head journalist about what I was about to drive, if looks could kill of mere envy I was dead in seconds. 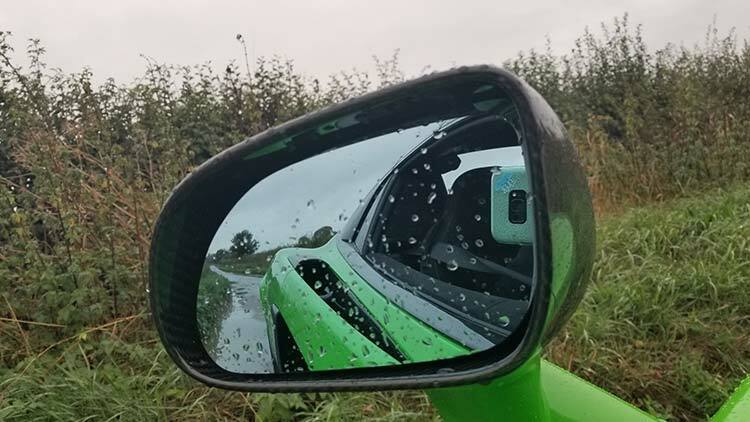 Two pure petrol heads who had driven the McLaren 570s sat down and warned me to be very careful in the rain. There are three driving options: Handling, Sports and Track and on Saturday and Sunday it was bucketing, so I used the handling option on those days. I mean it was the worse weekend regarding wet roads. As the sun came out on Sunday afternoon and Monday. I decided this was the opportunity, to use the paddles and that’s where I as a woman, transformed into Wonder Woman. 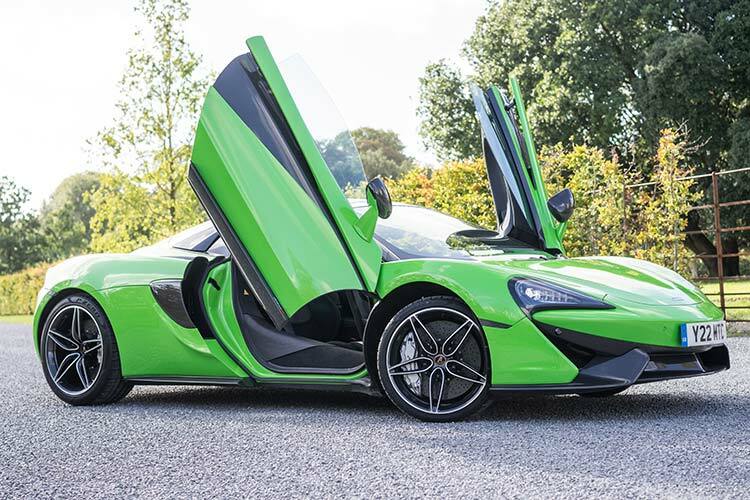 There was nothing more accelerating and adrenaline pumping of emotions, than driving down on the M40 let alone the M25 in a Mantis Green 570s McLaren. This car really stood alone both in looks and sound. It’s a priceless experience to hear that roaring sound of an engine passing everyone. What I loved was when I overtook men in their sports cars, I could see they were intimidated and rightly so. As I effortlessly overtook a Jaguar F-type Coupe, his face when he saw a woman passing in a McLaren, was just hilarious. That was what I also noticed, I owned that road and I was very intimidating, if you could not see me you certainly could hear me. The public reactions were priceless. Generally on the roads, I was received with the utmost friendly respect. This happened all weekend, no matter where I was, it seemed like I was parting the red sea. Everyone allowed me to have space and go first. For the simple reason, they all wanted to have the opportunity to look at the McLaren and of course hear it as well. For the tech talk I leave it to car engineer and MSF petrol head Thomas Koflach. Although my time with the 570s was limited due to other commitments, having experienced the car I couldn’t pass up the opportunity to add to Gracie’s words on the car. 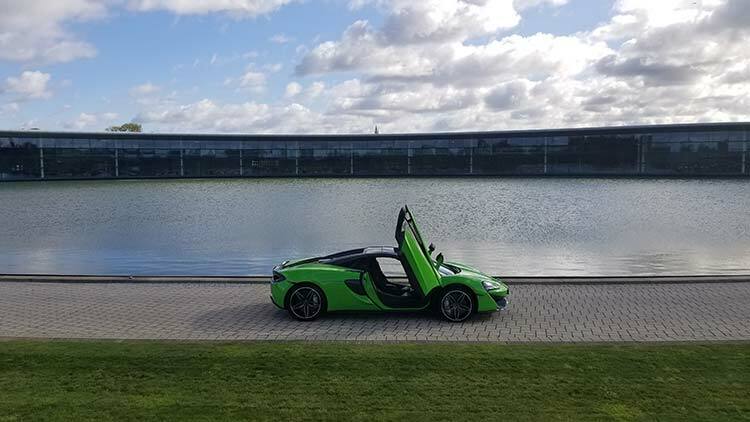 It was my first foray into the world of McLaren, and from the moment we set foot in their Woking HQ it was a truly unique and memorable experience. The whole setup is more akin to a space ship than an UK Automotive business; it’s evident a great level of care and precision went into designing the factory, care and precision that’s evidently transferred over to the road car designs. 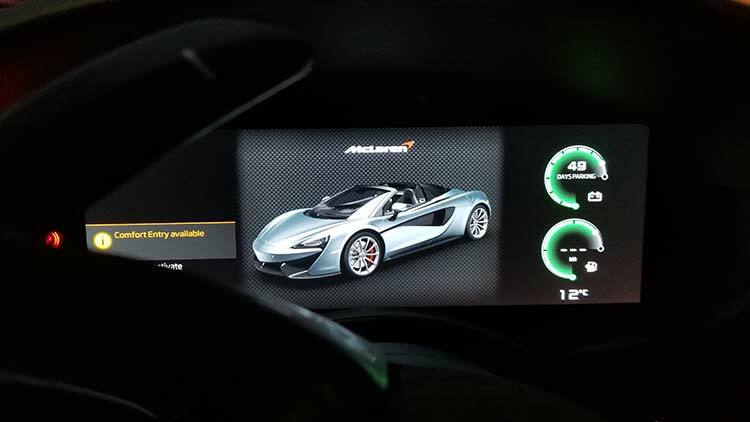 It didn’t take long to feel at home in the McLaren – all the controls are laid out carefully and clutter is minimal. Although this isn’t the most hard-core McLaren out there, it’s apparent the driving experience is still the central focus for the cabin design. The first fire of the engine is where the magic really starts to happen though, and the first indicator I got of what was to come. McLaren pioneered the ‘carbon fibre tub’ in Formula 1, effectively manufacturing the core of a car’s chassis from lightweight, super stiff carbon fibre. 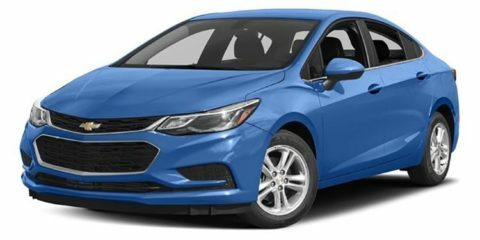 This brings enormous benefits in rigidity and handling, which can really be felt on the road; the connection between driver and car is fantastic with steering feel like nothing else. With the car running the cabin also resonates and buzzes to the tune of the engine, creating an adrenaline surge like nothing else. Talking of the engine, it’s fair to say power isn’t in short supply. Low end torque is fantastic, but as the revs rise it really comes alive and continues to punch harder and harder all the way to the red line. 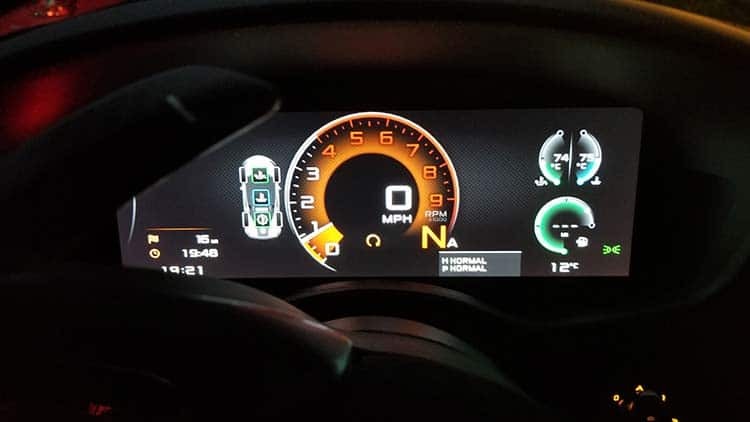 Switching the drivetrain between the various modes changes its character considerably – sport mode was all I had time for and it left a lasting impression. It’s hard to summarise my short time in the 570s in a concise manner, but the best way I can describe it is to compare it to another recent drive – Audi’s superb R8. Both the R8 and McLaren would fall into the ‘supercar’ bracket, yet to drive they’re very different. The R8 is undisputedly a supercar for the road – it’s easy to drive, quiet (when cruising), smooth, has plenty of tech and is comparably comfortable. 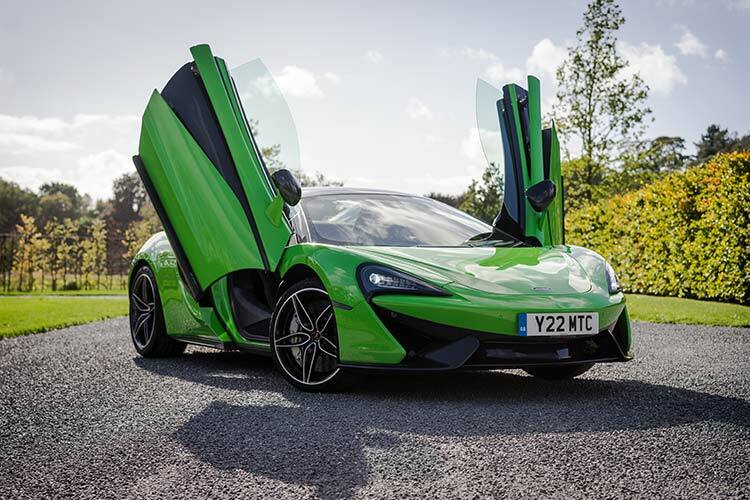 The 570s on the other hand feels like a supercar for the track – it’s harsh, very loud (all the time), incredibly focused and must be driven with respect and focus to avoid potential pitfalls. 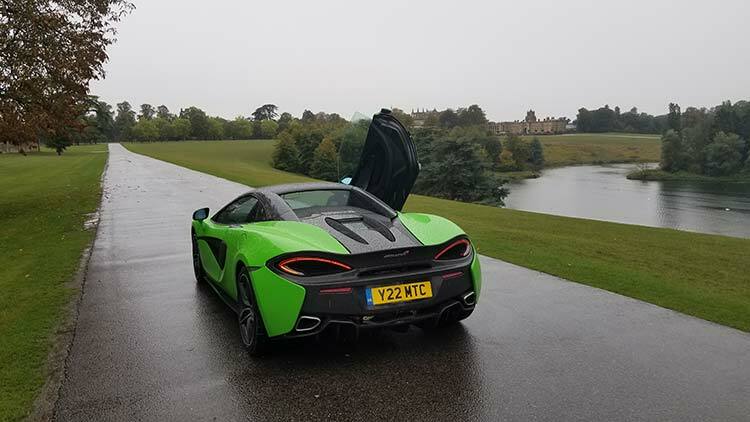 They’ll appeal to different users, but the buzz the 570s offers on open roads really does need to be felt to be believed. I was driving around Oxfordshire which is full of exclusive, hotels and Manors, amazing homes and restaurants. I love a challenge turning up to restaurants where I am told bookings must be made months ahead. As I discreetly entered the manor grounds, I was complimented on the car but, firmly told that they were fully booked. 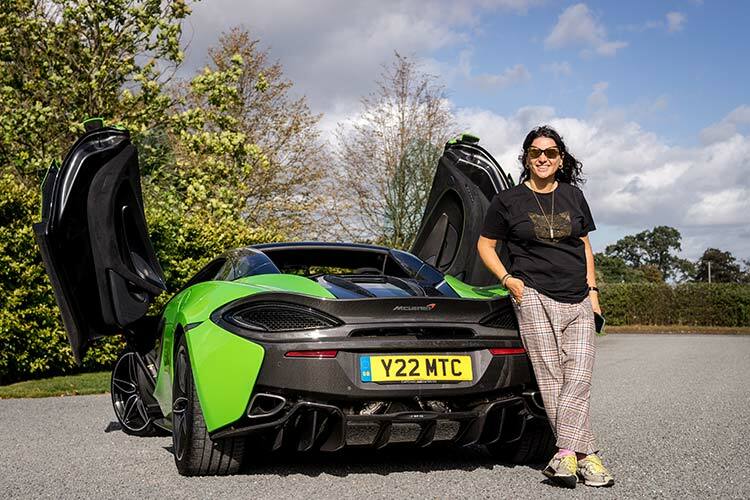 Who on earth is ever going to knock back a woman driving a McLaren 570s. This supercar, gave me the confidence in overdrive. Yes, I did get a seat in that restaurant and the staff got their selfie, that’s the power of McLaren. The Bowers & Wilkins sound system in the McLaren was absolutely amazing. They really overpowered that engine, when I chose too. That is not an easy task to achieve. 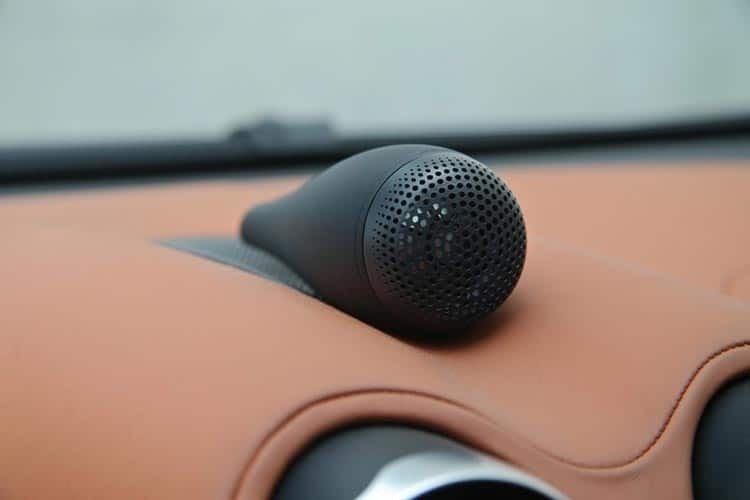 The McLaren Sports Series audio system features Tweeter-on-Top, which is an audio design feature usually found only in high-end loudspeakers. There was nothing more exhilarating than blasting the speakers, whilst on the M40 stuck in traffic up to Oxfordshire. 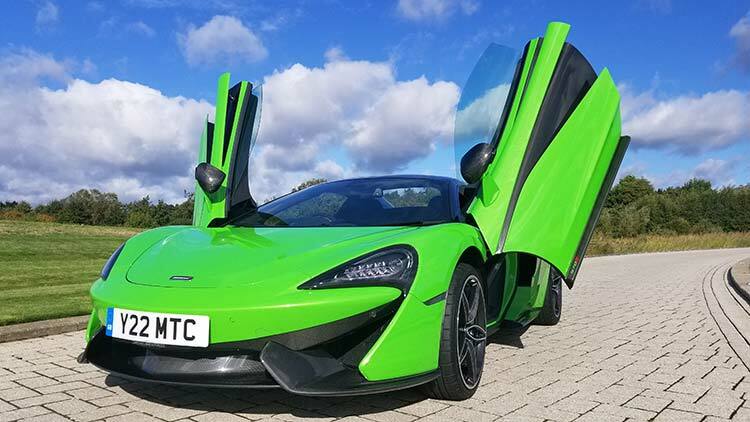 As my confidence grew, it was time to spread the 570s McLaren Mantis Green wings. This is what it’s all about, owning a McLaren, being fast, furious, loud and aggressively respectful to everyone envious on the road. My goodness I am a very loud personality, but I met my match and more. I was yelling, screaming, laughing and tearful too. I just could not get enough of this supercar. The handling and car technology here was pure motor engineering at it’s best. I have the utmost respect for those designing these cars. 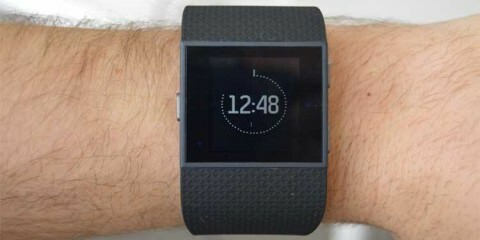 It was very responsive and I loved how it would go back into automatic mode if I wanted too. That kick back feeling and sound was just pure bliss. I hate handing back the cars I get to drive, I actually was holding back the tears. On this occasion, I can now truly relate to Cinderella who lost her glass slipper. 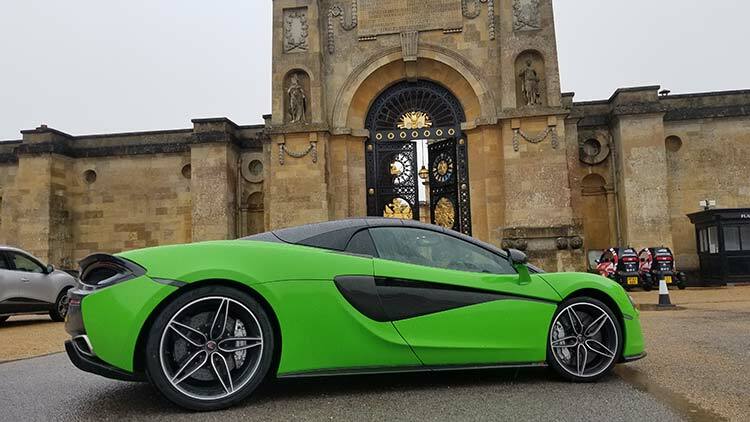 Who lost her Prince and wondering with a heavy heart, if she would ever reunite with her Shining Armour, let alone the 570s Mantis Green McLaren?